Flooding in Nebraska. A tornado in Alabama. And another winter storm overtaking New England. Natural disasters and the heartache which follow are sadly a part of life. In the aftermath of such calamities, many turn for sustenance to organized religion. But what could you do to help if you are a pastor whose church sat in the bull’s-eye of the greatest natural and environmental disaster in US history? 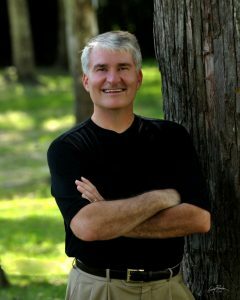 Dr. Michael Sprague is one such pastor. 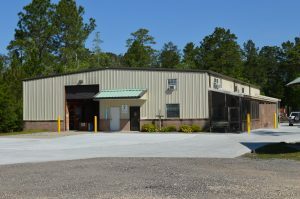 And the way he and his former congregation – Trinity Church in Covington, Louisiana – answered the call to serve created a workable blueprint which hundreds of other churches have subsequently followed. Sprague has written a book about his experiences titled, Disaster: Betting The Farm On God In Life’s Storms (Xulon Press). We sat down with Dr. Sprague to talk about Hurricane Katrina, the initial response to the catastrophic storm, and how lessons learned from the relief efforts affect lives today. BPE: Please take us back to August 2005 and the events which immediately followed. Sprague: We were ground zero for Hurricane Katrina. 50% of the people in our church knew someone who died in the storm. 85% either lost their jobs or had to re-manufacture them. 80% had home damage or had their houses completely destroyed; and initially, 95% of our people were scattered across the United States. As a result, God did something here that was transformative – though I wouldn’t wish what happened here on anybody in the world. We ended up having upwards of 30,000 people make their way to our church – mostly sleeping on the floor and eating their meals in our worship center – then deploying those people over a good number of years to help rebuild homes and lives for free – just out of the love of God. I feel like that story largely didn’t get told by news outlets around the country. So, I took some time to write a book, declaring what God had done, and then being thankful for the volunteer revolution which took place. Everyone in this community knows the two entities which really stepped up. First, the Coast Guard, which saved many lives; and secondly, the larger faith community that basically rebuilt our community and went the extra mile over and over again. But there was also a ripple effect, in that, the people who came down here to help often went home and started similar works in their own communities which continue to this day. BPE: You say that the volunteer response was largely faith-based. How did that affect you as a minister? Sprague: You know, as a minister, I had prayed for almost 30 years for the opportunity to see an Acts Chapter 2 revival type of experience, and I have to tell you that every 5-10 minutes we witnessed what I can only describe as a supernatural type of miracle – things that could only be explained by the Hand of God. I’d never imagined that it would take a hurricane to bring this about, but the things God did in the middle of a disaster were spectacular. I believe it was C. S. Lewis who said, “The man who has Jesus and everything is no different than the man who has Jesus and nothing.” Thirty days before Katrina, I stumbled upon that quote and found myself meditating and wondering, ‘Is that true?’ I mean, if Jesus is sovereign and sufficient, then he’ll provide each person with what they need, so I guess it’s true. And then Katrina hit, and I had a tree cut my house in half. We were refugees for a while, bunking and living with other people while I rebuilt my home. Meanwhile, as a Church, we were wondering if we would survive. So, for the next thirty days, I found myself meditating on that quote again. And for the first time in my life, I didn’t know where my next meal would be coming from – if the Church would survive and if our people would return. That’s when I saw that truth, “You never know that Jesus is all you’ll need until Jesus is all you’ve got.” And then you find out experientially, when things are dangerous and uncomfortable, that Jesus comes and meets you in a way that you could never have explained unless you’ve experienced it. God took a pastor who should have known better, and he stripped me of my security blankets and crutches, so that largely I was left with Him. He took me through a process of learning that I could bet the farm on God no matter what would happen. And to be honest, I’m not sure I would have ever learned those lessons on sunny days. My life in many ways is diametrically different since Katrina, but again, I wouldn’t wish that experience on anybody. BPE: Please tell us about some of those differences. Sprague: Well, I’m still a pastor, but now I’m more of a pastor out on the highways and byways, working largely with political leaders. You know, I’ve found that leaders could care less what little success you may have had in your life. But when you can speak of times of betrayal and brokenness – of being crushed and lost – there is something about going through those times which people identify with. It speaks in ways that the success times don’t. It’s kinda like your problems become your pulpit. BPE: Not everyone can relate to the business tycoon, but everyone can relate to the guy who has been down on his luck? Sprague: Yes. August 29, 2005 changed my life. 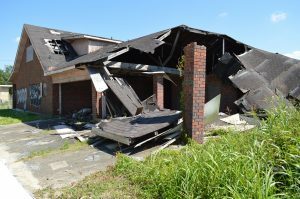 BPE: What was happening in your church before Katrina? Sprague: Well, about 1,100 people considered Trinity home. We’d have about 750 in church on Sunday morning. I like to say that we were a nice, comfortable, safe suburban Church, doing a lot of good things for the Lord. But we moved from safe and comfortable to trying to figure out how to survive from day-to-day. It’s interesting. A year before Katrina hit, I was tasked with putting together a strategic plan. I was the point person in a committee which included about a dozen pastors and elders. We also opened it up to the congregation for some input. About three weeks before Katrina hit, I pulled together a 70-75 page plan. It was a 3-5 year, month-by-month plan, with charts and graphs and projections about how this was all going to unfold. We were going to build new buildings, start new programs and bring on new staff. We would begin in September. Then, of course, Katrina hit on August 29. I don’t know how your experience is, but in my Church experience, very few things get done in one meeting. It’s always a process. But I brought this plan in and in one hour, the board of elders approved it. You know, I can’t help but wonder if there were chuckles in heaven when I submitted my plan. I’ve found that God’s plan is always better than Michael’s plan – even if it’s hard. The things that God brought out in my life and others lives has been transforming. I don’t diminish the pain I saw in Katrina. A lot of people are still hurting today. But in some ways it was a win-win-win-win. Sprague: The Church gained an outward orientation which was significant. We actually became known as the Church of the Stained Carpet, because after 4 years of people eating and sleeping in our worship center, it got to look pretty ratty in there. But 99% of the people said this is the way the Church should be. This is what the Body of Christ should be about. We didn’t care about the carpet, because we’d set back up for Sunday morning and Wednesday night services. 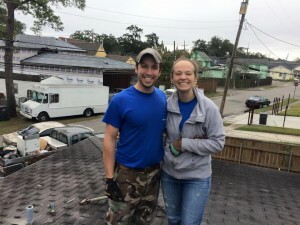 Katie and Mark on a roof in New Orleans. Sprague said it was encouraging to see so many young people leading the way in disaster relief efforts. We had one fella come down who had struggled for some time with a drug problem. He’d work all day and then at night, go down to the French Quarter to share the Gospel for the first time in his life. The team learned that he had some construction experience, so they put him in charge of the crew. God was using him down here in a way he’d never been used before. He went home so excited, and his pastor called him up and said, “We’re thinking of starting a group for people who are struggling with some things. Would you lead it?” He’d never been asked to serve or lead anything, but he started this group which just exploded and is having a positive effect in his community. Then there were the college and high school kids. You know, churches never let young people do anything. But we’d have kids up on the roofs working, and they knew how to do more than a lot of adults. So they were leading and were affirmed in that. Out of the thousands who came, perhaps 20% were college kids. We sometimes think, “What will the next generation be like?” But when I see those kids and how they lead, I am just bolstered in my spirit that there are so many who are outstanding. I just can’t wait to see where they’ll be in 10-20 years. Katrina meant cleansing. It cleansed our hearts and many areas and the ripples are still coming. BPE: Those ripples eventually took you away from Trinity Church all the way to Baton Rouge? Sprague: Yes. As I said, I work with political leaders now. My title would be the Louisiana State Chaplain in the Capitol Commission. The Capitol Commission wants to put a chaplain in every state house in the union. We are basically missionaries, chaplains and pastors who work in the capitol community. Most state legislatures have a time when they come together for lawmaking, and I’m in the midst of that here in Louisiana. I conduct Bible studies for legislators, staff members and lobbyists – all totally non-partisan. I also meet one-on-one with people for prayer and just try to be a good listener. BPE: What kind of reception have you gotten from the lawmakers? I’m in one of the few places where Democrats and Republicans can come together – not as lawmakers, but as people – and begin to build those relationships. I don’t care if someone is the rising star or on their way to prison. My job is to meet them where they’re at and to encourage them in a healthy life, because the healthier they are, the better they will serve. If they want to take the next step in their faith life, I’m there for that too. Look, almost everybody wants something from their political leaders. That is part of the reason they are there. But I want to be one of the 5-10 people in their life who doesn’t want money, doesn’t want any favors, doesn’t have an agenda, isn’t there to tell them how to vote or be a pain in their backside. Leaders are used to having stones thrown at them, and in some cases it may be justifiable, but they are human beings, too. God’s just given me a love for elected leaders, and I want to see them be the best that they can be. I see so many of them who truly sacrifice to serve their constituents and give of themselves to make a difference. If I can encourage them, that’s what I’m called to do. BPE: Did the government learn anything from Katrina? So, the residents rolled up their sleeves, and then the faith community started turning up in the thousands and gave themselves away. In my eyes, it was the finest moment for the Church – it was spectacular. It was like Acts being rewritten. Since then, I think the Church has responded in similar ways many times around the world. Those are the people who are willing to be uncomfortable in order to make a difference. BPE: Any parting advice for pastors? Sprague: The kind of things we were dealing with down here are things pastors see every day. And they usually respond with truth and grace. Granted, nobody taught me in seminary how to deal with the greatest natural disaster in American history. Two thousand people died in Katrina and some 280,000 homes were damaged or destroyed. For pastors, you just made it up one day at a time as God helped you figure it out. And you know, that’s actually a pretty good way to live: Dependent on Him; willing to be uncomfortable and open to seeing what God can do. I think the Church needs to be vulnerable and uncomfortable, with God being your sufficiency. Pastors may get weary, but they thrive when they submit, too. If the Church lives in that – not just in the next Katrina, but day-by-day – then the Church will make a difference. Editor’s note: This is the twenty-ninth part of an ongoing series which will look at the places and people that make up the rich history and diverse nature of spirituality, belief and observance in Baltimore and beyond. Read the series here. ← Are you struggling to choose a new handset?